I'm not going to call this article "predictions" because I really have no basis in fact to make any predictions. There is, however, no shortage of predictions out there. In fact, if you go to www.insert.any.domain.here you will probably find a list of Macworld predictions. Instead I'd like to talk about the one gadget I'd love to see Apple release even if there is little or no chance of it actually doing so. I actually used a PC tablet for a year and a half. It was a Gateway and while it wouldn't win any beauty contests it had a vivid glass screen that swiveled to cover up the keyboard. I thought I'd use it as a sort of ebook reader and research device but that didn't end up happening. The problem with that computer was largely its size. It was too big and too heavy. I couldn't sit and casually read on it. I had to have a desk to lean it on, preferably at an angle. Likewise it was not convenient using it in tablet mode during client meetings. The other problem was the digitizer. The ink was too thick and I couldn't take precise notes and the software was clunky. It was just too hard to use in my daily routine and before long I was back to paper pads. In short, it was heavy as a brick and the UI felt it was designed for monkeys. I wonder what company could get the form factor right and fix the UI? Hmmmm. 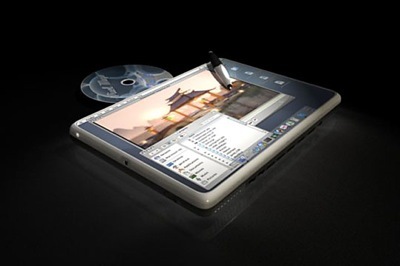 Well, although there has been speculation of an Apple tablet, a lot of people "in the know" seem to think the iTablet will only exist in the land where Elvis still lives and Unicorns roam. Maybe they are right but I sure would like to see what the Apple wizards could do with a Tablet and some of the iPhone UI technology. Just maybe they could make a device that allows me to do legal research on pdf versions of cases or straight off the web easily. Maybe they could allow me to sit on the couch without a laptop and review email, rss, twitter and other things necessary for an information junky. Maybe I could actually read a book and annotate it electronically. 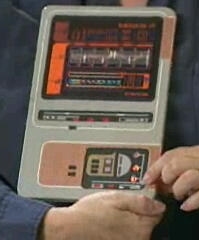 As I write this, it occurs to me that what I really want is that pad they used to carry around on Star Trek. The ubiquitous device that people carry around to get work done. Something that gets out of my way and allows me to do research, or interview clients, or conduct a deposition while giving me easy access to whatever information I need. It would also need bluetooth keyboard support for added functionality (and please for the love of Pete, turn on bluetooth keyboard support on the iPhone while you are at it). It doesn't have to be particularly fast, or have oodles of storage. So there is my Macworld wish. 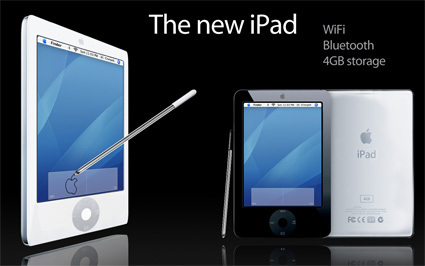 An Apple tablet with the right UI and the right form factor could just change the world ... again.